We appreciate your love for God and His people. Your gift is the fuel for this ministry to deliver the message of hope. You are giving to help change lives, restore relationships and transform communities in Ohio and beyond. The Lord is doing great things in and through us! He has even greater things for us to do in the coming year. With your help we will continue to spread the Good News of Jesus Christ. This safe and flexible option is the easiest way to give to Cathedral of Life Church! Whether you’d like to give a single gift, schedule ongoing donations, view your giving history or make a payment, you can do it all online. It’s quick, easy and secure. You can give by using your checking account, debit or credit card, whichever is most convenient. 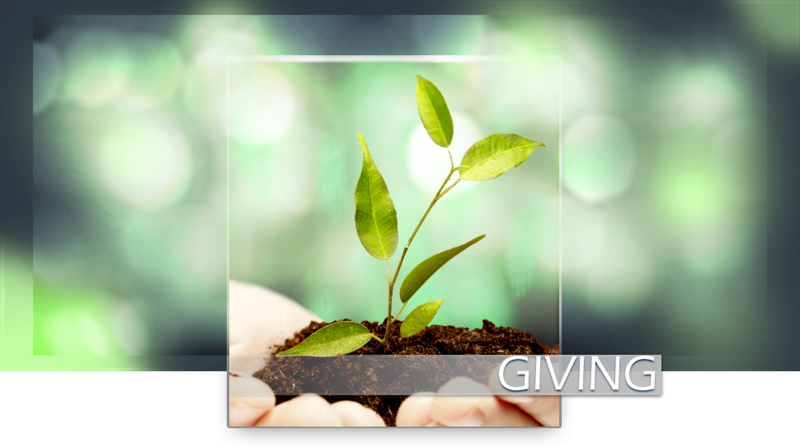 Here you can easily manage your giving amount and specify where the funds should be applied. Just place your cash, check (payable to Cathedral of Life Church) or credit card donation in the offering during any worship service. Offering envelopes are available for your convenience. Mail to Cathedral of Life Church and we will apply your gift. This is an easy and effective way to systematically give through your checking or savings account. Simply log onto your individual bank account and follow your bank’s instructions to set up Cathedral of Life Church as a new payee. Stop by the office and fill out a form to schedule reoccurring donations using your checking account, debit or credit card.